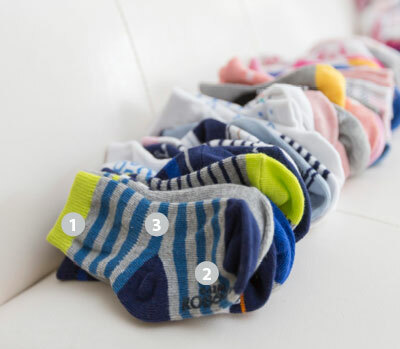 Robeez Baby Girl Socks consists of 3 pairs of baby socks. The solid white and the solid pink pairs have organza gathering sewn around the ankle. The other white pair of socks features pink micro dots, a pink toe and heel and a pink satin bow on the back of the ankle. But these in a size 6-12 of your baby is 3 months old! If not the smaller size is too small and they could fall off and not live up to their promise like it happened to me!